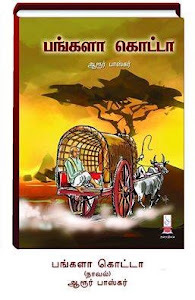 As all of you know, I have published my first book titled as "En Jannal Vazhi Paarvaiyil" few months back. During that process I also committed myself to an initiative, which is to start an educational trust. Today, I am happy to announce that a trust named as "SIRAGUKAL EDUCATIONAL AND CHARITABLE TRUST" has been registered in Tamil Nadu, India. The primary goal is to support initiatives in education for the poor kids in rural areas of Tamil Nadu. When I briefed my Idea for a trust, my family and close relatives welcomed it. But, I know from my bottom of my heart that this requires lot of commitment and time. After lot of thoughtful consideration, I decided to go forward to help the needy and start this trust. Other than me there are four more trustees in India. One of them is a school teacher and another is a HR executive. All of them have the tendency to help others. Thinking of completing at least one project for every quarter, which depends on the size of the project as well. Even I have strategy to raise the fund from volunteers interested to contribute. 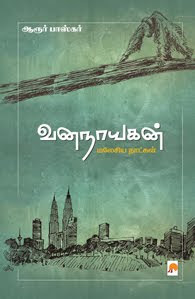 As first step, I will be donating ALL book sales proceeds to Siragukal. We are working with a teacher friend to donate books and other library items for a government school near Thiruvarur, Tamil Nadu. Will keep you posted. This is a small first step towards the beginning a long journey. please reach out me if you have any suggestions and wish me all the best!. 2015 - புத்தாண்டு நல் வாழ்த்துக்கள்! !